Guest post at Nova Ren Suma’s The Book of My Heart series, in which I reveal the personal story behind CLEAN and my own struggles with addiction and alcoholism. DAMAGED playlist at YA Misfits: Band Geek Thursdays, where I share the soundtrack for the book and some of my favorite songs. Guest post at Dear Teen Me. My letter to a very lost and scared 16-year old me. Interview with YA Highway, in which I discuss my venture into paranormal and writing difficult material. Successful Author Talk at Writer, Writer, Pants on Fire, where I discuss various aspects of being a writer. Guest post at Actin’ Up with Books, where I discuss the books that inspired me to become a writer. Guest post at Writers Read, where I confess to sort of hating short stories. My AMA (Ask Me Anything) at the YA Writers Reddit, where I answer a few questions about writing. If you’re in the Asheville, North Carolina area, I will be making a rare physical appearance at Malaprops Bookstore this Thursday, November 6th, from 3:00-5:00 pm, where I’ll be signing books and trying to get rid of our leftover Halloween candy (if I don’t eat it all by then). Come by and say hi! They have all my books in stock, and it’s never too early to start Christmas shopping at your local independent bookstore. I am so incredibly excited to tell you that my new book DAMAGED comes out TODAY! I started writing it three summers ago while on a cross-country road trip with my husband, Brian, and just barely pregnant with my daughter Elouise. Kinsey and Hunter, the main characters in DAMAGED, visit many of the same places we came across on our route, and I hope you will take the journey with them. Part ghost story, part epic road trip, and part reluctant love story, DAMAGED offers readers another piercing, poignant story full of emotional truth from author Amy Reed. After Kinsey’s best friend Camille dies in a car accident during which Kinsey was driving, Kinsey shuts down, deciding that numbness is far better than mourning. All she wants during the last few weeks of high school is to be left alone, but Camille’s mysterious boyfriend, Hunter–who was also in the car that night–has different ideas. I am honored to share my book with you, and I hope you enjoy it. You can purchase it at your local bookstore or online at places like Amazon, Barnes & Noble, Simon & Schuster, my local independent bookstore Malaprop’s, and many other retailers. If your local bookstore doesn’t have it, please request that they order it! I would be grateful if you’d do any of these things to help spread the word about DAMAGED. It is a great joy to write books for you all. Thank you so much for your support. Hey y’all! (I live in North Carolina now, so I get to say “y’all”). I am so excited that DAMAGED comes out in TWO WEEKS! On October 14th, it will be released into the world and I couldn’t be prouder. (Pre-order to make sure you get it on release day). I have tons of exciting guest posts and special online events coming up, so make sure you follow me on Twitter to get all the updates. If you’re in the Asheville, NC area, I’ll be hanging out at Malaprop’s Bookstore on Thursday, November 6th, from 3:00 to 5:00 pm to sign some books. Stop by to say hi and pick up a signed copy of DAMAGED or one of my other books. They’ll have them all in stock. I would love to meet you! INVINCIBLE is book one of a two-book series, pitched as Go Ask Alice meets The Fault in Our Stars, about a teenage girl who survives a terminal cancer diagnosis, only to get trapped in the deadly spiral of addiction, and the boy who would do anything to save her. Read an Excerpt of DAMAGED! I can’t believe DAMAGED comes out in less than two months! Here’s a sneak peek for your reading pleasure. The eGalley for DAMAGED is ready for your reading and reviewing pleasure! Just click HERE! If you’d like to contact me about events, interviews, blog tours, or other features, send me a message HERE. 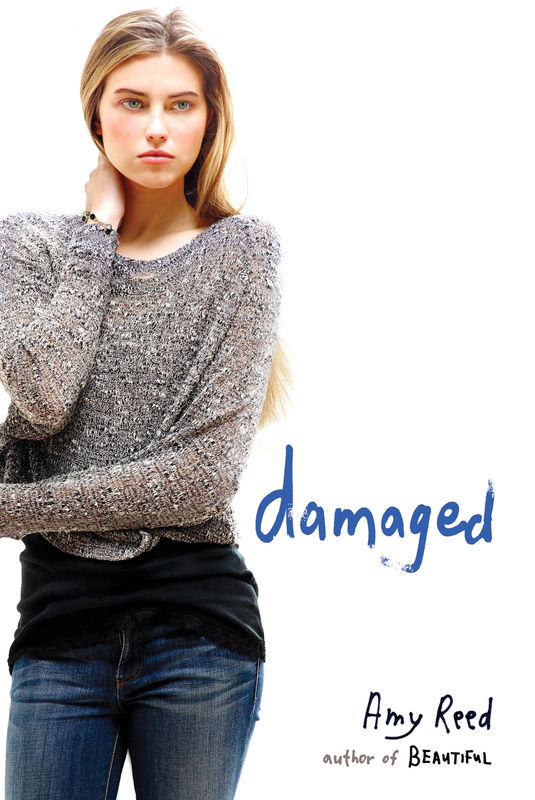 UPDATE: DAMAGED has a new cover! The publishing world is a strange place. One day your new book has an awesome cover and you reveal it to the world, then a few weeks pass and mysterious forces decide it needs to be changed. 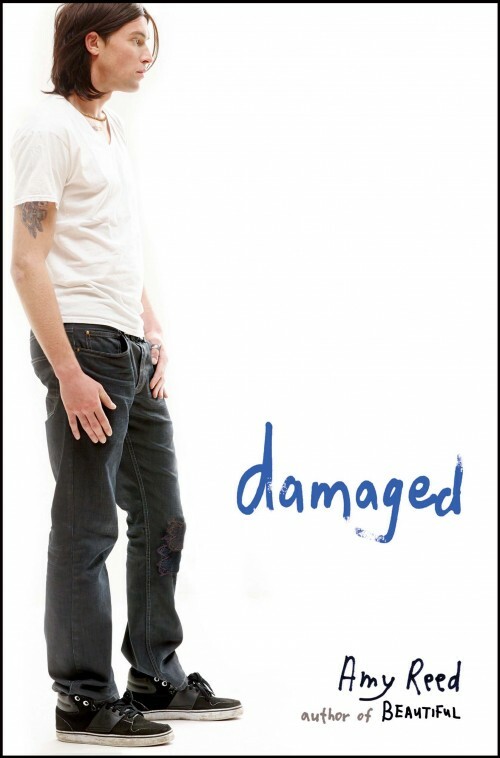 The original cover for my new book DAMAGED (releasing October 14) had a guy on it, which was a departure from all my previous covers, and which I loved. However, a very important bookseller suggested that my fans would not love it so much and would be less excited to read a book with a guy on the front. So, at their recommendation, my publisher and I decided to change it. Luckily, the original photo shoot included a girl, so it was an easy fix. In some ways, it makes more sense this way because Kinsey, the girl, is the narrator of DAMAGED. But the story is still very much about Hunter, the boy. I’m curious–what do you think about the new cover compared to the old one? Are you less likely to read a book with a guy on the front rather than a girl? It’s been a long time since I posted on here. Sorry about that, but being a new mom and writer is harder work than I ever imagined. But good news! I get to tell you about my new book with Simon Pulse!